Digital Command Control (DCC) is a great way to run a model railroad, but where do you get started? The MRVP crew shows you the complete process as they install a DCC system on the HO scale Beer Line layout. 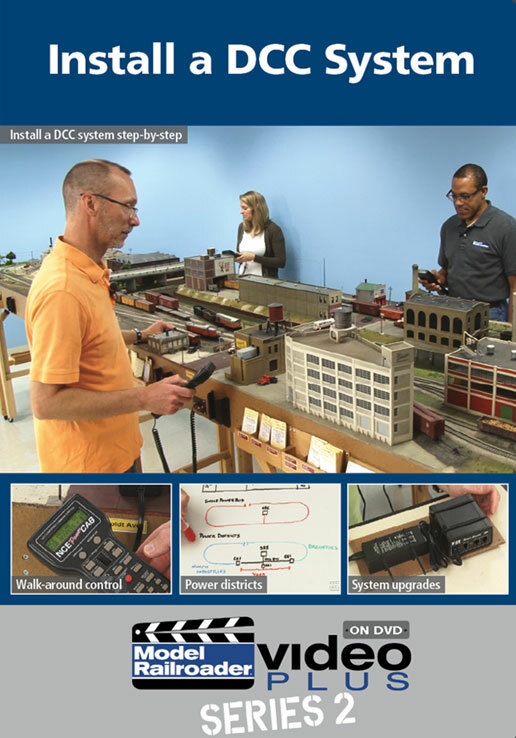 Along the way you�ll learn how to set up a power bus, install walk-around cab control, add bigger boosters, split a layout into power districts, and upgrade to wireless throttles. It�s everything you need to know to get your layout set up for DCC. E. Nelson (Lansing IL US) on 2018-09-24 18:11:33. A very good program explaining the ins and outs of a basic DCC installation. This DVD will help the beginner with knowledge of what will be involved with wiring their layout.